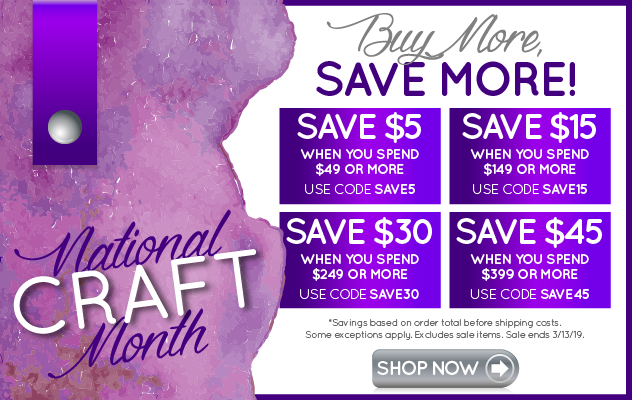 I have joined with a bunch of crafty ladies for the month of March for a Dollar Store Craft Challenge. 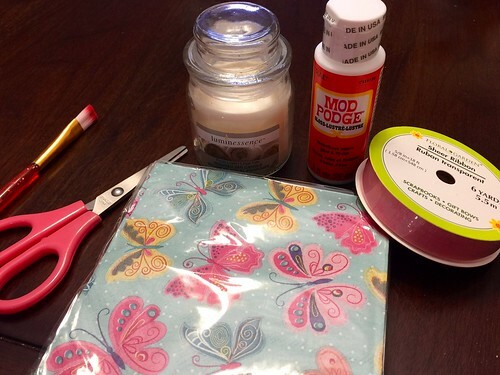 All the items I used can be found at the dollar store. 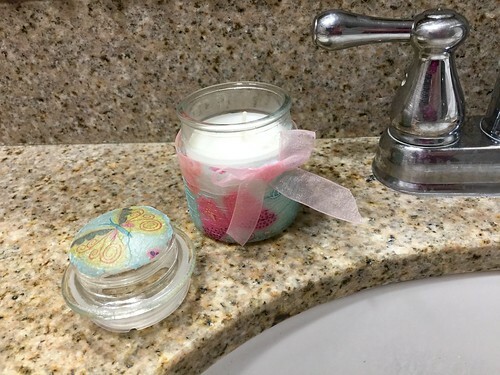 This was a fun challenge and I actually made two different crafts, the other will be posted later and linked back here since they go together for a cute bathroom update. At the bottom of this tutorial, you will find links to all the projects. All items were purchased at the Dollar Tree except the last two, which I already had. But of course, they can be purchased at the Dollar Tree as well. 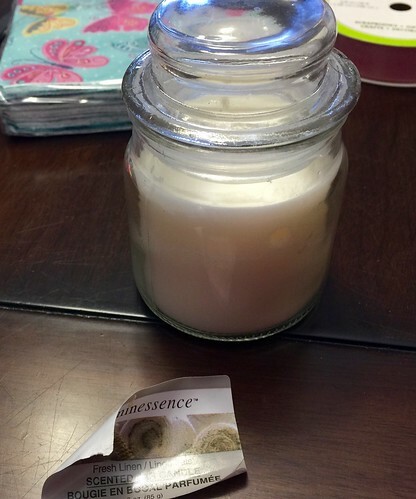 Remove the sticker from the glass jar. Separate the backing from the napkin. 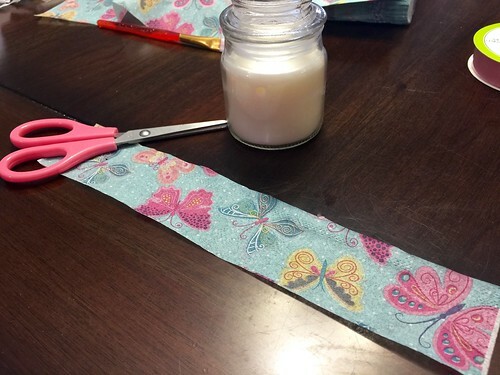 Cut a strip of the napkin to the width of the glass jar. 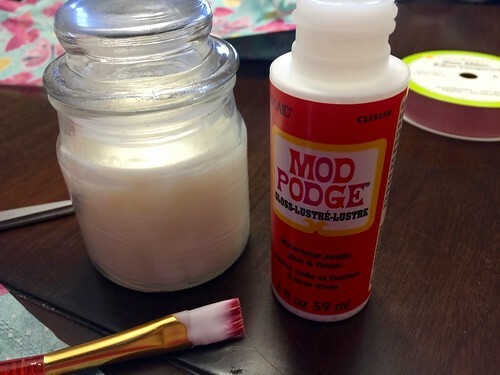 Mod Podge around the base of the glass jar. 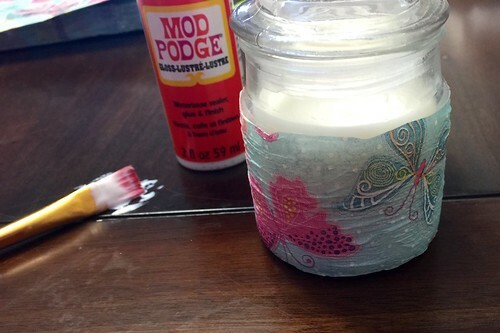 Place the napkin around the jar and then paint another layer of Mod Podge. 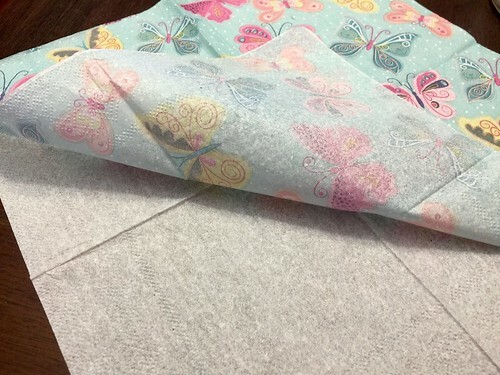 Can you believe I placed the napkin pattern upside down? - Oh well. 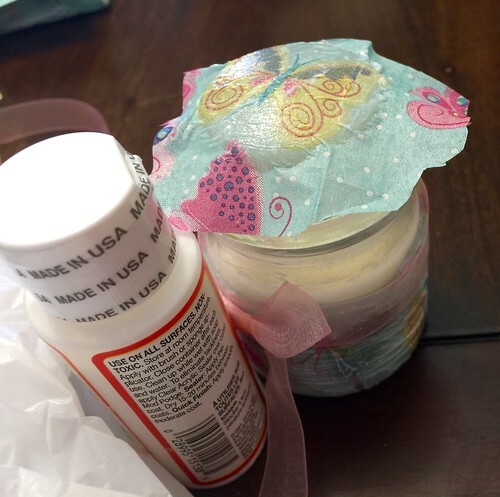 Using the same technique I placed a napkin butterfly on the top of the jar and wrapped a ribbon around the jar, and added a bow.